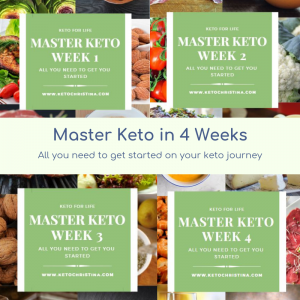 Master Keto in 4 Weeks has been designed by me based on thousands of hours of coaching private clients and helping them begin keto. These eBooks will give you all of the knowledge and tools you need to get started on your keto journey. You will have access to a PRIVATE FACEBOOK GROUP for support and invitation to LIVE Q&A Sessions with me. ALL OF THIS FOR JUST €29.99 – to purchase click on the image. Conventional dieting doesn’t work. It doesn’t work, not only because it only focuses on the calorie content of the food rather than the nutrition, but because it doesn’t tackle food issues. Weight loss surgery works for weight loss initially but often the weight is regained. This is because it only focuses on the food and calories but doesn’t tackle food issues. Keto works incredibly well for weight loss and the reversal of chronic disease and reduction of inflammation. 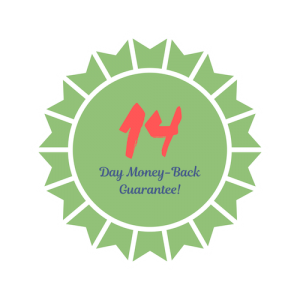 Keto can help with long term maintenance of weight loss but often weight is regained. Keto removes the sugar high/sugar crash cycle that promotes cravings but it doesn’t tackle the emotional and mental aspect of food. 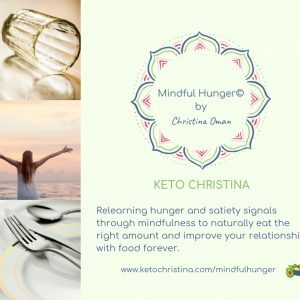 Mindful Hunger© is 5 modules of self paced learning, in your own time. Each module is designed to help you learn how to reconnect with your body, be confident in your choices and make the best food choices for health. Relearn what it really means to be hungry and how to manage each of the 9 types of hunger through personal exploration. This is a deep dive, intensive self reflection course. At the end of the course you will know your relationship with food intimately and how to enjoy food once more. BONUS MATERIAL WORTH OVER €600! !